In Becoming a Futurist Leader, Jill Schumann speaks directly to the reasons I love SWOT analyses. They’re all about looking at the present to divine the future. And leaders need their crystal balls to identify trends, anticipate change, and be open to possibilities that will enable them to work more effectively and have greater impact. .
Let’s face it. It’s easy to stick with the status quo. 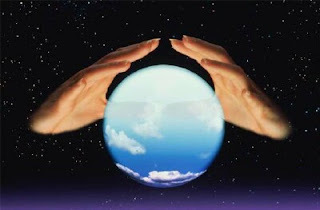 Crystal ball gazing and divining is not so easy. SWOTs help leaders do this systematically and strategically. We’ve a lot invested in doing what we’ve always done. It takes courage and determination to ask the hard questions that break us out of old patterns and ruts. A structured approach can help. § a tool for auditing an organization and it’s environment. § a first stage of planning; helps focus on key issues. § a useful tool for understanding and decision-making for all sorts of situations in business and organizations. § a means to measure a business unit, a proposition or idea to enable proactive thinking rather than relying on habitual or instinctive reactions. You can do a SWOT to assess anything. Just keep it focused. Do a SWOT for your branding/marketing communications plan, fundraising plan, social media plan, board development strategy, volunteer program, any mission-driven subsidized service or any revenue-generating program. A good SWOT gives you a snapshot perspective of one thing (one “situation”), from the view of relevant stakeholders. You start by assessing internal factors (strengths and weaknesses) over which you have some control; you then move on to external factors (opportunities and threats) which are more outside your ability to determine. It’s best to use a facilitator, and brainstorm as many ideas as you can. Once patterns and trends have been identified, it’s time to turn them into actions. 4. Be specific. Avoid gray areas. 6. Keep SWOT short and simple. 7. Remember: SWOT is subjective. 8. List factors in relevant boxes. Now what? The key to success is translating your SWOT into action. This takes discipline. Please, if you’re not going to take this final step don’t bother with the whole thing. You’ll just frustrate yourself and everyone else. 1. Product – What are we selling? 2. Process – How are we selling it? 3. Customer – Who are we selling it to? 4. Distribution – Where/how does it reach them? 5. Finance – What are the prices, costs and investments? 6. Administration – How do we manage all this? Here’s a matrix I’ve found useful. What’ been your experience with SWOT? Love it as much as I do? Or do you have a better method? Please share in comments. You have done very nice information about Your Crystal Ball for Business Success. I need this information because now a days my business has not a good condition. So thanks for this information. Glad to be helpful. Thanks for participating.